OnePlus 6 open sales have started in India today which is available in 6GB RAM 64GB storage in Mirror Black and 8GB RAM 128GB storage in Mirror Black and Midnight Black colors.Mobile comes with dual-SIM (Nano) which runs on OxygenOS 5.1 based Android 8.1 Oreo. It sports a 6.28-inch full-HD+ Optic AMOLED display with a 19:9 aspect ratio and an 84 percent screen-to-body ratio, protected by Gorilla Glass 5 which is powered by a Qualcomm Snapdragon 845 SoC clocked up to 2.8GHz coupled with either 6GB or 8GB of LPDDR4X RAM and an Adreno 630 GPU. OnePlus has a primary 16-megapixel Sony IMX519 sensor with a 1.22-micron pixel size, f/1.7 aperture, OIS, and EIS. The secondary 20-megapixel Sony IM376K sensor has a 1-micron pixel size and an f/1.7 aperture. The rear cameras are supported by a dual-LED flash module.On front it sports with a 16-megapixel camera with a Sony IMX371 sensor, 1-micron pixels, f/2.0 aperture, and EIS. This giant also got Slow Motion video recording which is capable of capturing 480 frames per second at 720p for up to a minute. It can also record 240fps at 1080p. There is also a new in-device video editor. The front camera now offers Portrait Mode as well, using a new AI algorithm to give a depth-of-field effect. The Face Unlock feature on the smartphone said to unlock the smartphone in as little as 0.4 seconds. The OnePlus 6 runs on the Android 8.1 Oreo operating system-based OxygenOS 5.1 out of the box. OnePlus says OxygenOS 5.1 on the OnePlus 6 is faster than ever and introduces a few new features. The company claims to have boosted performance to render what’s on the screen and nothing more. OnePlus has also added new gesture controls that allow users to use simple gestures to return home, open recent apps, browse through the app drawer, and many more. 6.28-inch FHD+ Full Optic AMOLED 19:9 display with 2280 x 1080 pixels resolution. OnePlus 6 can be purchased online via Amazon India and OnePlus Store. This smartphone will also be available from Croma offline retail outlets, OnePlus pop-up stores and also at OnePlus Experience Store in Bengaluru. This mobile is priced at Rs.34,999 for the 6GB RAM 64GB storage variant and Rs.39,999 for 8GB RAM 128GB storage variant. Silk White variant will available from June 5 and Marvel Avengers Limited Edition model with 8GB RAM 256GB storage with custom design will go on sale on May 29 at Rs.44,999. Customers purchasing the smartphone through SBI credit and debit card transactions will get a Rs. 2,000 discount. This will be available during the first week. Further, customers will also be eligible to avail no cost EMI options for up to three months through all popular banks. SBI customers who purchase the OnePlus 6 from Croma stores will get Rs. 2,000 cashback. 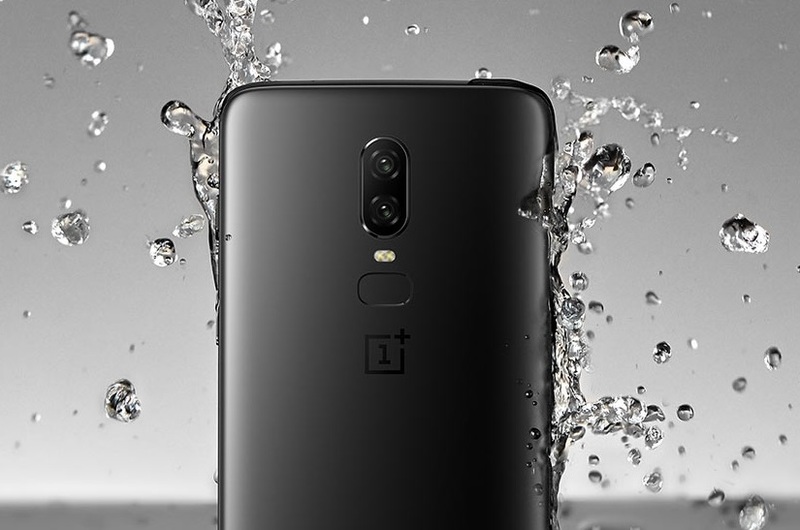 Cashback offers with partners like Paytm, Standard Chartered, Axis, ICICI and HDFC Bank will also be available.OnePlus is additionally giving all OnePlus 6 buyers complimentary 12-month accidental damage insurance by Servify, an Amazon Prime Video gift card worth Rs. 250, and discounts up to Rs. 500 for purchasing ebooks via Amazon Kindle. Idea subscribers picking up the OnePlus 6 will get cashback and dedicated device insurance. OnePlus also announced benefits up to Rs. 25,000 will be available on flight and hotel bookings from ClearTrip.